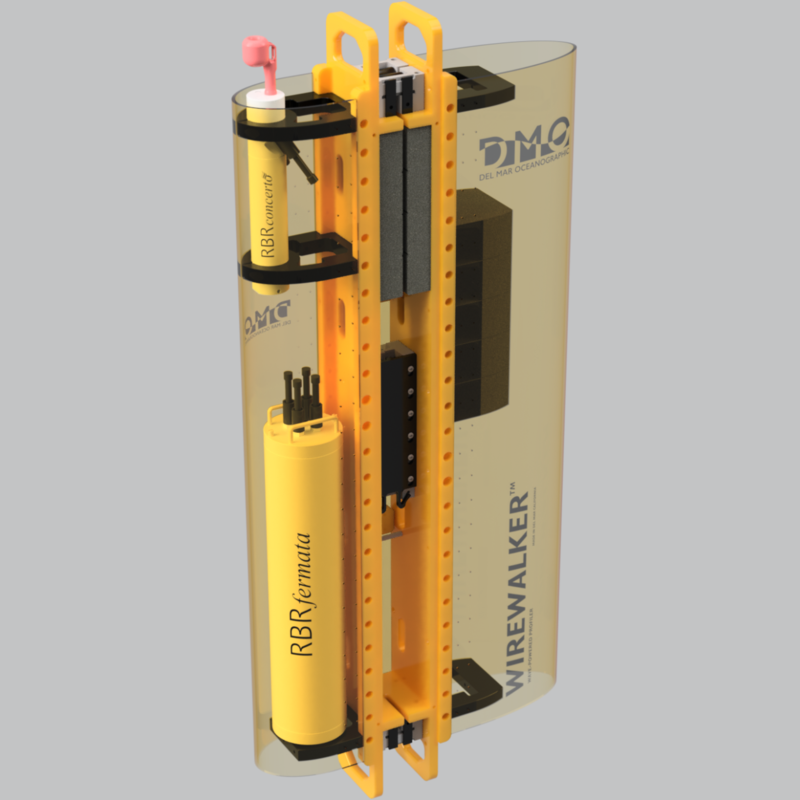 RBR is pleased to offer the Del Mar Oceanographic (DMO) Wirewalker, a wave-powered profiling system where mechanical, sensing, and communication elements are all tightly integrated. 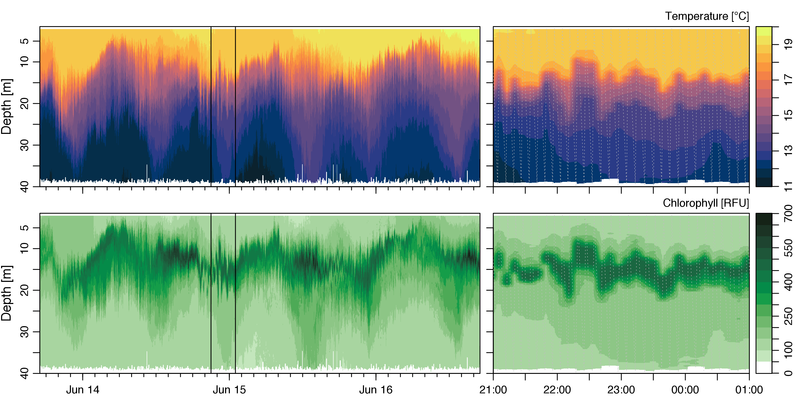 The DMO Wirewalker can be configured using either the RBRconcerto³ or RBRmaestro³ instruments. Using the RBRfermata battery canister, deployments can be extended by a factor of 40 and provide power for inductive telemetry to the surface. Contact Del Mar Oceanographic directly for a quote on the Wirewalker system.